What is the Current Potential of UAE LED Lighting Market? The UAE LED Lighting Market is currently at the growth stage and the revenues generated from the sale of LED lighting products in UAE was evaluated at AED ~ million during 2018, inclining from AED ~ million in 2015. Government is playing an important role in the development of the LED lighting market by framing influential policies to increase the usage of LED products in the country. UAE Government banned the usage of incandescent bulbs in 2014 and directed the market to clear all the products which was not as per the standards set by the government. This created a vacuum in the market which was filled by the increase in demand for for CFL and LED lights. Due to these factors and increase in infrastructure spending, the market witnessed a significant growth of ~% between the period 2015-2018. The Emirates Standardization and Metrology Authority (ESMA) were made responsible for making policies and regulations for the functioning of lighting companies. Aim of government was to reduce the carbon dioxide emission and electricity consumption. The government is one of the biggest investors in the LED lighting and is replacing the traditional street lighting systems with the LED lighting. The street lights had the ~% share in the total sales of outdoor application of LED lighting in 2018. The current demand in the region is facilitated by the demand in the construction and the retrofitting projects, government initiatives and other factors. The industry registered a CAGR of ~% for the period 2013-2018 and is expected to grow at a CAGR of ~% for the period 2019-2023. By Type of LED: The market is dominated by the sales of LED luminaires as these products are quite popular for commercial sector usage. Lamps are preferred by the government for retrofitting the traditional lighting system with the LED lamps. 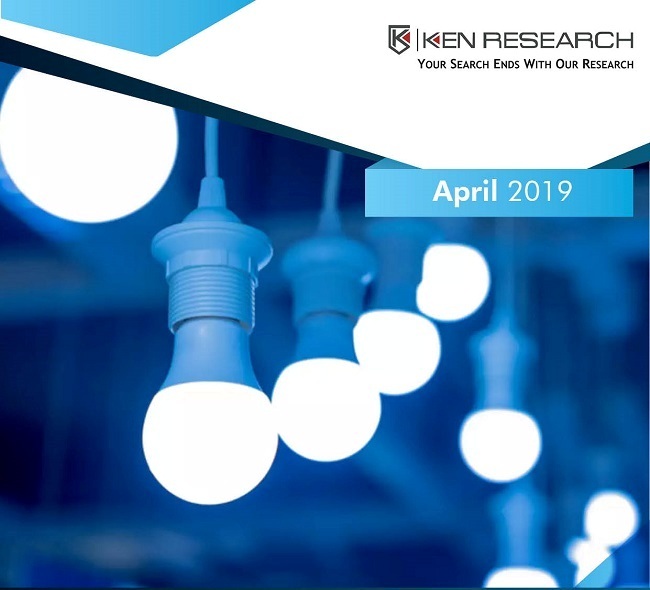 By Sales: The market share for Project sales is higher and was approximately ~% of the total LED Lighting sales in 2018 owing to increase in infrastructure and commercial sector spending whereas the retail sales contributed ~% in 2018. By Sector: The LED lighting is majorly used in the commercial, hospitality, residential, healthcare and others. Other sector includes government buildings, airports, public spots, and educational institutions. Commercial sector dominated this segment followed by residential and industrial sector owing to investment in various projects in the country. By Distribution Channel: The market has three major modes of distribution channel consisting of Electronic wholesalers, Lighting showrooms and Utilities. Other distribution channels include sales by small retailers, online distribution and expo sales. Some of the known electrical wholesalers in the market are Schientechnic, Al Ghandi Electronics. Lumasense some of the renowned wholesalers in the region. By Usage: The LED lighting products are used for indoor and outdoor lighting purposes. Indoor lighting is lighting for the inside of premises and includes the application of LED in the various premises such as Residential, Commercial, and Hospitality to name a few. The outdoor lighting is applied in areas such as outdoor of a building/ Façade lighting, Street Lighting, Parking and Garage lots. Government’s Focus on Efficient Usage of Energy: The UAE government is focusing on maximizing the energy efficiency usage. The aim is to reduce the Carbon Dioxide emission from the usage of electricity. There are several actions for this such as installing the LED lights over hundreds of kilometers of street lighting. The government has made several rules and regulations for the companies in order to launch a product in the market. Digitalization of the Lighting Technology: Lighting Industry has become highly digitalized. There are several projects which are using Internet of Things technology. The products have sensors for data collection to determine the activity-based lighting it allows lighting projects to only use electricity as per the need. Companies are now providing Lighting as a Service (L.A.A.S) solution. For instance there are products in the commercial settings with the daylight sensors to measure the amount of actual daylight in a room.